Bettie Francis Delmar died at home on February 1, 2019, at age 90. She was the daughter of the late Lillian and Ruben J. Hardin and for 67 years, was the wife of architect Eugene Delmar, who preceded her in death by 32 days. Although she was born in Van Lear, Kentucky, Bettie spent most of her growing-up years in Pennsylvania. She was a graduate of Westchester State University, where she majored in music and cultivated a spectacular soprano voice. After graduation, she taught music and sang at weddings and other special events. After Bettie married "Gene", the couple lived in New York until he finished college. They moved to the Washington, D.C. area in 1954, where they lived the rest of their lives, primarily in Maryland. 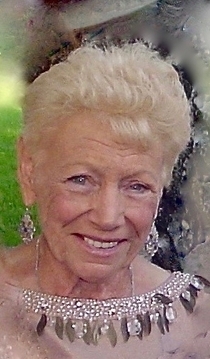 An avid golfer, Bettie was a member of Manor Country Club and was a past president of the club's Women's Golf Association. She was a volunteer for the American Lung Association. Along with her husband, she was very active with service organizations such as the Jacyees and Lions Club, which helped the underserved. She took care of her own widowed mother for many years. Besides golf, she loved opera, the theater, gardening, travel, and her dogs, but her husband and children were always her first priority. She will be remembered as a fun-loving and devoted mother. Bettie is survived by three children; Diana Delmar, Daniel Delmar, and David Delmar, all of Montgomery County, Maryland, and six grandchildren; Nicole, Kristin, Joseph, Jacqueline, Anthony, and Christopher. A Memorial Service will be held on Saturday, February 9, 2019 from 2pm to 4pm at the Roy W. Barber Funeral Home, 21525 Laytonsville Rd., Laytonsville, MD 20882.